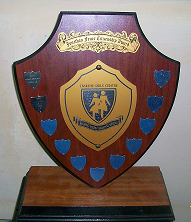 The Trustees and the Starehe Girlsâ€™ Centre community thank Mr. Jonathan Feuer for starting and sustaining the Jonathan Feuer Award for the seventh year. The award helps the students to develop democratic attributes which will be useful in their lives. The winner of Feuer Citizenship Award is chosen through a transparent democratic process. Each of the six houses choses the student who is considered best in many set aside attributes. The names of the winners are again put together and the entire student body elects the best student who fulfill all the attributes and criteria agreed upon for a global citizen. This is done through voting using ballot boxes, with election observers, returning officers, presiding officers and finally counting of the ballots and announcing of the winning student.